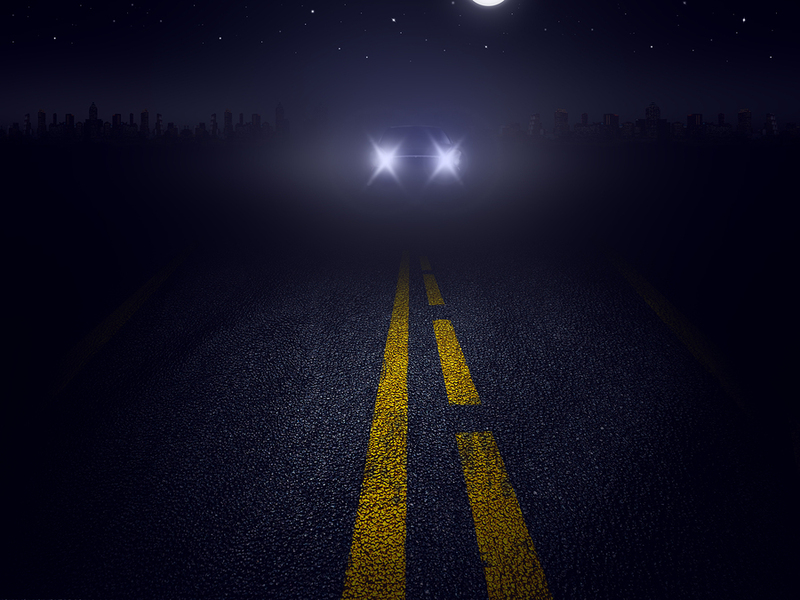 The dangers associated with night driving and large trucks are present all year round. Here are some of the issues to consider when driving at night around large commercial vehicles. The drivers operating tractor-trailer trucks typically have reduced visibility due to blind-spots. These primary blind spots exist along the right front quarter, at the left rear corner, and directly behind the vehicle. If you are unable to see the driver’s side-view mirror on a tractor trailer, you are likely in one of the blind spots. A vehicle’s rear wheels have a shorter path, making them more likely to hit curbs during turns. Large trucks need a wider distance to execute a clean turn. This is why you often see tractor trailer drivers swerve to the left before turning right. You should avoid passing trucks on the right when approaching intersections to prevent possibly getting caught between the truck and a curb. Don’t try to pass a truck while it is backing up, as the driver may be unable to see you. Pass trucks on the left-hand side and remember to maintain your speed. Be sure to allow adequate space before switching lanes back in front of a truck since trucks require more distance to slow down. Make sure your mirrors are properly positioned to minimize blind spots. From the driver’s seat, you should have some visibility of the left rear corner of the car. Be sure to keep your exterior mirrors clean so they don’t obstruct your vision. Avoid staring directly into the headlights of oncoming vehicles. Adjust your rear-view mirror to dim the bright headlights of vehicles approaching you from the rear. If you have been injured in an accident involving a large truck at night, you may be entitled to compensation. For a free consultation with an experienced truck accident attorney, call Page Law today at 314-322-8515 or contact us online.